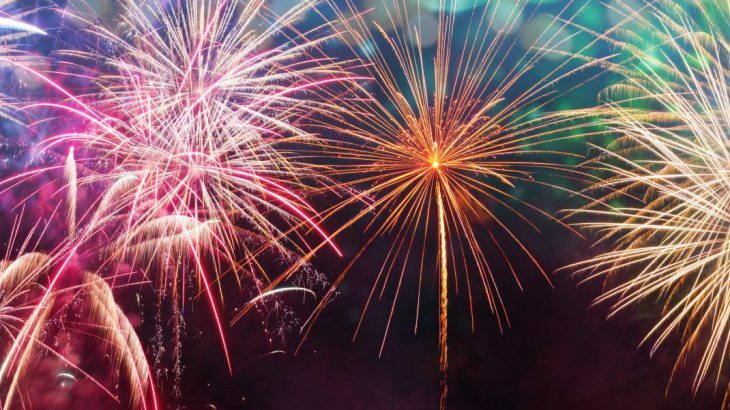 Around the world there are a wealth of traditional, fun and downright odd ways to see in the New Year! Experiencing any of them is a fantastic way to feel part of the culture, interact with the local people and give you some great stories to share with your friends and family back home. Many global traditions are to ensure good luck for the coming year, others to bring fortune or love and others to cleanse last years’ sins – all of them are a fascinating glimpse into their country of origin. So, here are some of our favourites to give you some ideas for a more international new year of your own! 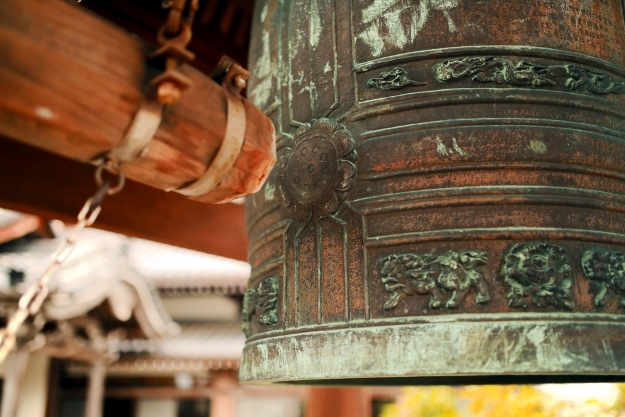 New year in Japan is seen in with bells of Buddhist temples ringing 108 times. Each ring represents one of the human sins of the Buddhist religion, and by ringing the bells, the sins of the last year are cleansed. The Japanese also believe that you should smile going into the new year, to bring you good luck for the coming year. Families and friends gather together on New Year’s Eve to eat together, the feast culminating in noodles at 11pm – the long strands of noodle represent a long life. Celebrated at the start of the lunar new year, the act of splashing each other with water to wash away sin and bad luck is a central part of the celebrations in Southeast Asia. 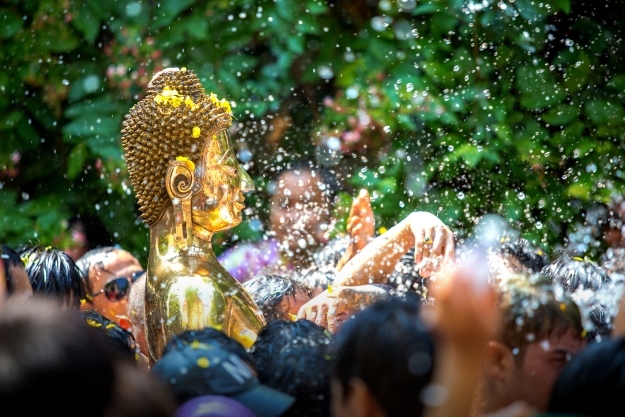 Thailand’s Songkran (13 April) is the best known, with revellers also smearing each other with chalk, which symbolise the chalk marks monks use to preserve blessings. In Burma, Thingyan Festival (13 April) also revolves around soaking people with water to purify their souls, they even use water hoses to do it…perfect in the hot dry season. The Vietnamese new year Tet (5 Feb 2019, 25 Jan 2020) may not involve throwing water about, but the country is draped in red and yellow, two colours that symbolise good luck. Here, what you do at dawn of Tet will determine your fate for the rest of the year, so it’s smiling and good behaviour are the order of the day. With all this going on we can guarantee that holidays to Vietnam, Burma or Thailand over new year are a lot of fun! Chinese New Year, also celebrated at the start of the lunar new year (Year of the Pig 5 Feb 2019, Year of the Ox 25 Jan 2020) has many age-old traditions associated with it, many of which we all know and love – dragon dances for example. In China, red is the colour happiness and good fortune, so everything goes red at new year, right down to people’s front doors. 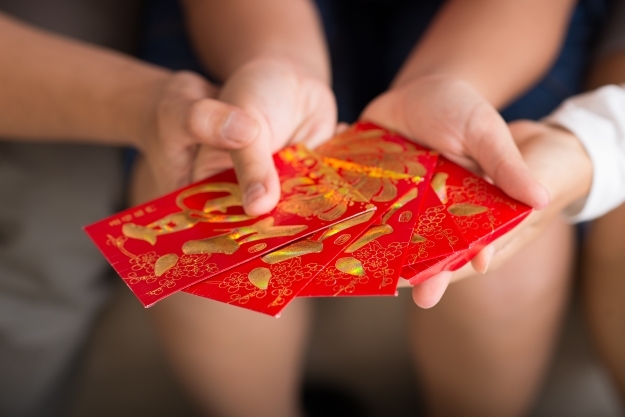 Giving a gift of money in a red envelope is another new year tradition, with amounts ranging from a few pounds to a small fortune and the annual fireworks displays are epic. Fingers crossed for red envelopes for all this new year! Across Latin America, many of the new year traditions are shared, thanks to its Spanish and Portuguese heritage. In many countries people don colourful pants to see in the New Year; in Peru it’s yellow for good luck and in Argentina pink to find love. Dining on lentils or bean at new year is also a big one, they are seen to represent a year full of work and money. Many countries also have some quirky traditions of their own! In Peru, in the village of Takanakuy the end of the year is celebrated with friendly fist fighting to settle differences and start the new year off with a clean slate. Many of Brazil‘s African-Brazilian locals who live by the ocean throw white flowers into the water to appease the Goddess of the Sea every new year, whilst many others wear white clothes to scare away evil spirits. In the town of Talca, in central Chile, the locals see in the new year by spending the night with their deceased love ones in the local graveyard. In Panama, the new year is seen in with the burning of the muñecos. A human effigy, they are stuffed with firecrackers and beaten and lit at midnight, to destroy the sins and evil spirits of the past year. 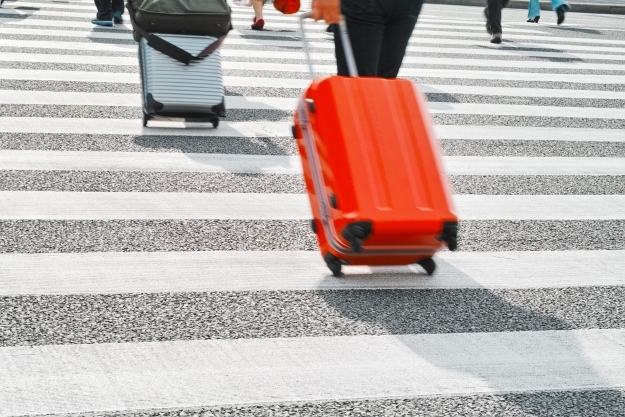 It’s this Colombia new year tradition that’s our favourite…carrying around an empty suitcase for the day, in the hope that it brings a year full of adventure. Cheers to that! General adventure, culture, festivals, new year, top things to see. permalink.